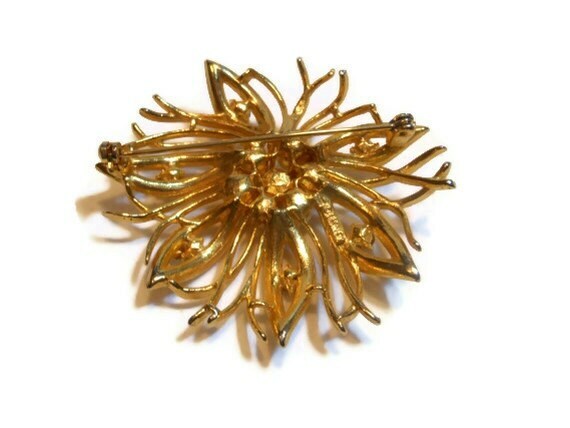 Lisner floral brooch pin, pearl and clear rhinestone floral leaves brooch, on gold plate, great wedding piece. 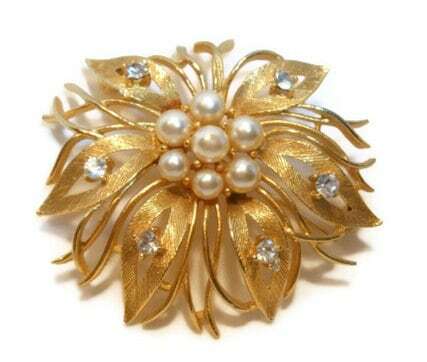 Faux pearls and clear, prong set rhinestones grace this lovely 2" (5.2 cm) X 2 1/2" (5.7 cm) brooch. 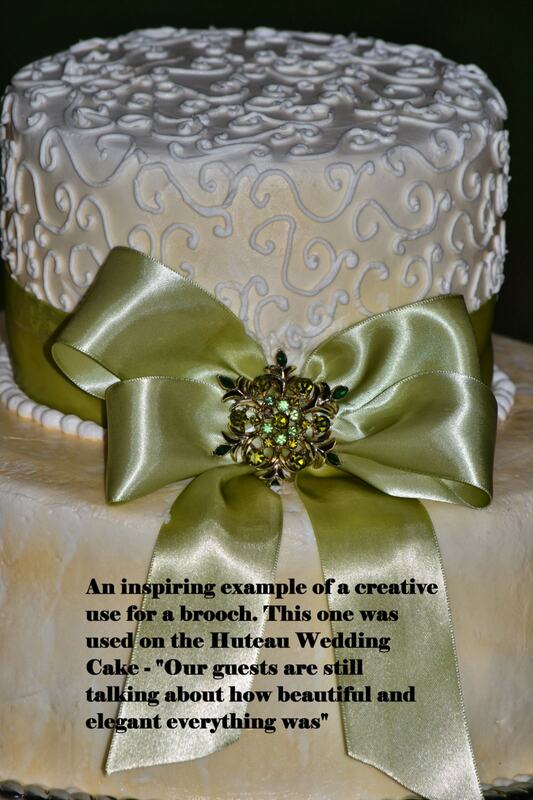 It is in very good vintage condition. A fine example of the Lisner leaf. 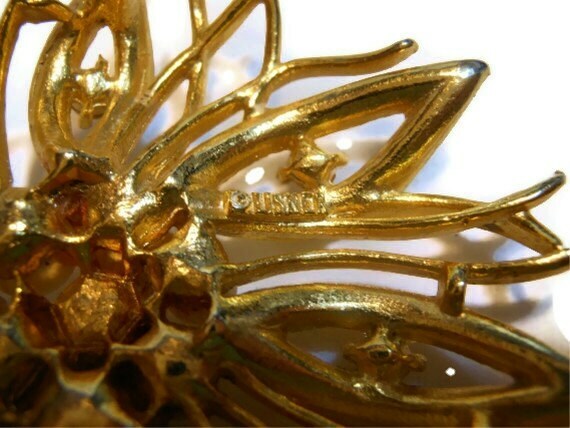 Lisner is well known for, and has many variations of, their leaf jewelry. 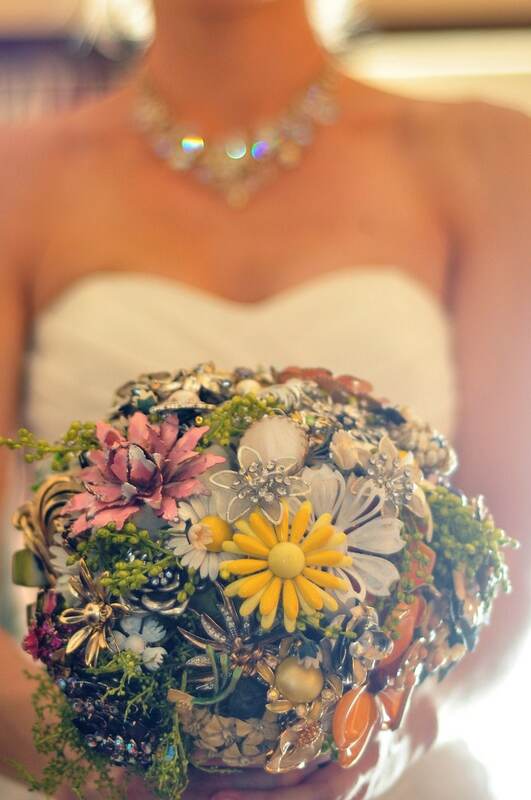 See photos for example of brooch bouquet and bouquet using a brooch.